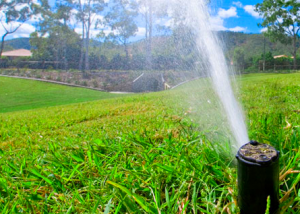 Here at Ron Hall Sprinklers we have a Mowing and Snow Removal Department to help with your needs. During the Summer months our mowers will come trim and mow your yard weekly or biweekly with precision. Our goal is to leave your yard being proud of our work. Straight lines, no turn around spots, and all clippings and debris picked up. Our crew is very detailed oriented and will leave your yard looking great. 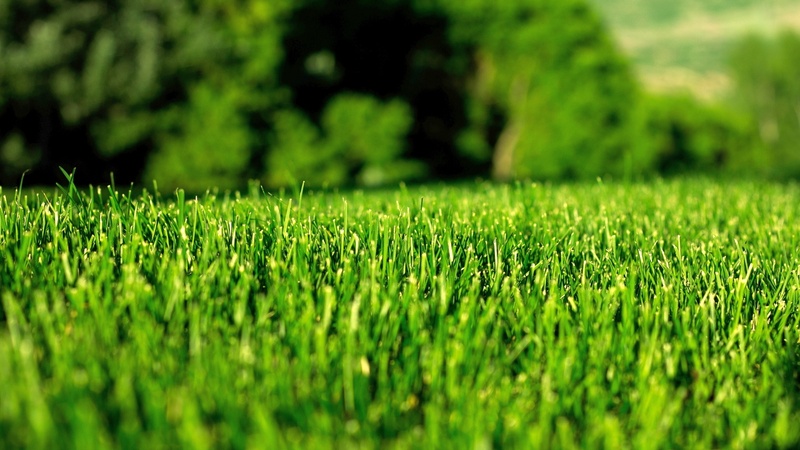 Proper mowing is essential to maintaining your lawn between your regularly scheduled RHS Tree & Lawn fertilizer visits. If you mow to low you can damage the crown, the part of the plant where the blade growth actually occurs. If you let your grass get too long, chances are you will take too much of the grass blade off which causes stress and damage. It is best to keep your lawn a little longer than you would normally think. The ideal length varies by grass type and the time of the year, but a good height range is 2.5 to 3 inches. This length leaves enough material to properly photosynthesize, which will help grow a stronger root system and in return a thicker lawn that will crowd out weeds and tolerate stress better. The first mow in the spring and the last mow in the fall are good times to cut the grass shorter. Call the office to schedule regular mowing visits if you would like to leave the guess work to the experts! During the Winter months we have a Snow Removal crew ready that will keep your driveways and sidewalks clear of ice and snow. We are out early and throughout the day in order to suit your needs. We would be happy to automatically service you when it snows or be on call for times when you think we are needed. We only use ice melt upon request, due to the fact that it can be very messy when tracked indoors and is dangerous for children and pets if consumed. We strive to clean properties with shovels, plows and brooms, however mother nature presents situations where the use of ice melt is appropriate. Snow removal is available for residental and commercial properties. If you are interested in an estimate for lawn mowing or snow removal please call us at 406-454-2963 today. Would like an estimate for snow removal for our Church. Address is 3220 11th Avenue South. Phone 799-6451. Thanks! Ok. I will have our estimator give you a call with a price. Thank you! I would like an estimate for as required snow removal on my front public sidewalk and the sidewalk up to the front door. We are currently in Arizona and will return to GF in May. We will have our snow removal estimator contact you. Thanks. Hi Judy! We will be in touch with you about this. Thanks! We will be in touch! Thanks!